If you are searching for rescue dog advice, I'm assuming you have already or are very close to adopting a Staffordshire bull terrier. If so, you can applaud yourself and be very excited; you've done a great thing that can be seriously rewarding. Unfortunately, many rescue centres list staffies as their most encountered dog breed. Many rescue staffies come from terrible backgrounds filled with neglect and abuse; by adopting them, you’ve given them hope. Even after enduring some poor living conditions and finding itself in a rehoming centre, a rescue staffy can make a wonderful pet for your family; it really speaks volumes of the strength these dogs have within them. Usually, bringing home a rescue staffy isn’t going to be much different from a staffy from anywhere else but there are some things you are going to need to know to make the move into the new home as easy as possible. 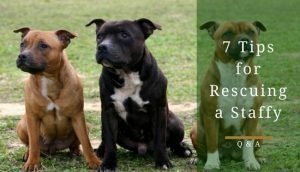 This article will give you seven simple tips on how to make your new resuce staffy’s transition to your home go smoothly. Most likely, a rescue staffy will be scared, anxious and rather timid when you bring them home due to the circumstances surrounding them being put in a shelter. After all, it must be horrifying to be cooped up in a shelter all day with all the activity of other dogs coming and going happening around them. In addition, their past history may still have an effect on their confidence. 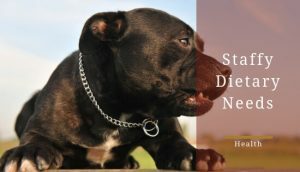 Therefore, your new staffy will need time to adjust and gain their confidence back. If your dog doesn’t seem comfortable right away there’s no reason to freak out. Instead. You should take the necessary actions to make your pup feel at ease. For example, if they gravitate toward one part of your house, let them stay there; don’t force them to a designated area, let them figure it out for themselves. It’s important to keep things consistent while they’re adjusting to their new home. This will allow your new dog to see how things work more quickly, effectively, speeding up their adjustment period. 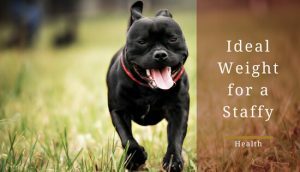 As with any other type of dog, your brand new staffy will appreciate a routine; their whole experience over the last couple days or weeks has been filled with unpredictability, which has probably stressed them out. 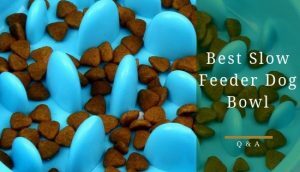 For this reason, quickly establishing a feeding, walking and bed time schedule will finally give them that sense of consistency and normality they’ve been craving. Again, this is all in service of helping them get acclimated to your home and their new, improved way of life as quickly as possible. Toys will help ease your new staffy’s stress while making them associate your home with a place full of fun. The goal is for the presence of toys to aid in making the dog feel more comfortable and happy in your home; it will take their mind off the fact they’re in an unfamiliar place as they adjust to it. Of course, make sure to supervise your dog while playing with these toys; staffies have a tendency to get over excited and hurting themselves while chewing too hard on certain toys. However, toys like Kong chews are okay to leave alone with your staffy as long as you check them every once in a while for damage; they can end up being choking hazards. View Kong toys and check prices on Amazon. Lastly, some rescue staffies might not know how to play with toys so feel free to show them; it could be your first bonding experience! For more dog toy options, take a look at our post on the 5 best indestructible dog chews. This might seem insignificant but a simple action like keeping the places you put the water bowl consistent can help an adopted dog adjust more quickly to your home. Again, it’s all about consistency and routine. In a sense, it will give them a comfort to know that water will always be there when they’re thirsty; a comfort they probably haven’t had for a while. Additionally, setting up a feeding area and time means it will be easier to feed them and contain their excitement about being fed. We all know how much staffies love their food! The amount of training your rescue dog has had in the past can really vary. Some may not have been trained at all, which is no problem since they are quick learners. In the case they do have training, they’re probably going to need a bit of a refresher if it has been a while since they lived in a family home. It is wise to expect they will need to be trained and treat your new staffy like they’re a puppy. This mindset ensures you aren’t setting them up for failure and you won’t be surprised by the training they require. Then, if they do know some basic commands, it will be a pleasant surprise for you. If not, this is something that can be worked on with any dog. 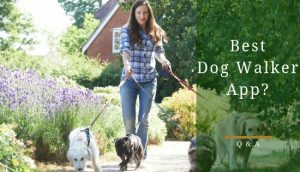 At the end of the day, all dogs are going to require some form of training when they go into a new home with a different routine to that which they are accustom. Training a dog is another part of the bonding experience and is super rewarding. At some point, you’re going to have to leave your home without your dog; this is just a fact. Therefore, crate training them is a fantastic way to take away your fear of what your new staffy will do when you’re not at home. Another reason is that it will give your new rescue staffy a place to call their own; it’s a secondary home for them and a place where they can feel secure and safe. Again, this sense of safety will reduce your staffy’s anxiety and stress. In fact, if they ever do get overwhelmed, they now have a place they can go to relax. An example of a more elegant looking crate. Click here to see the prices on Amazon. If you want to find out more about crate training, we have an article about that as well. 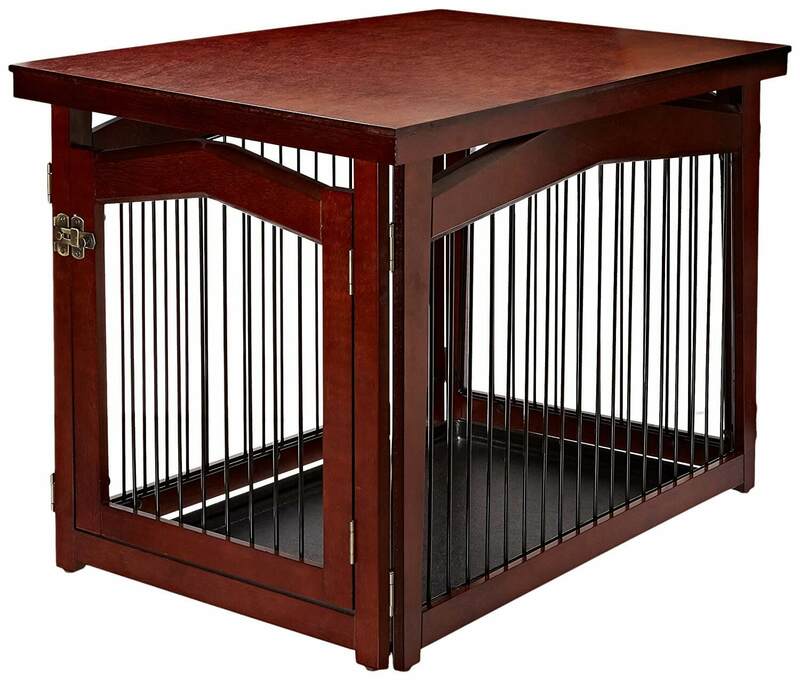 Click here to view our full dog crate training article. In the end, the key to making a rescue staffy feel at home is removing the stress and anxiety that the shelter or their history provided them; a crate, when used properly, can help to alleviate some of that anxiety and stress. At first, it’s important to resist coddling your new rescue staffy. I know, it’s going to be tough given you know the environment they’re coming from but, if you let things go during their first few weeks, it will be much harder to change their behaviour later on. It’s key to set certain boundaries from the first moment your new staffy steps inside your home. Things like where they sleep, off-limits areas, not chewing furniture and where they go to the toilet all need to be put in place from the start. 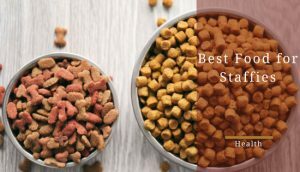 After all, those first few weeks will set the tone for your entire relationship; you need to set a standard for the kind of dog you want them to be from the get-go. Overall, Getting Your New Rescue Staffy Comfortable is Real About One Thing…. Consistency. 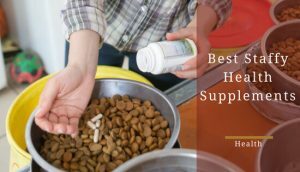 This is something your dog probably hasn’t had for quite some time. Instead, uncertainty is likely to have been a more prominent theme for them. 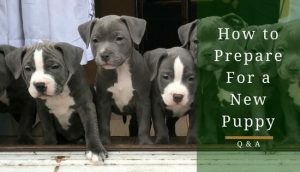 So, use these tips with patience and consistency to get your new staffy rescue adjusted to their new home! I have just had to have my beautiful staffie put to sleep and I am going to miss him terribly. I am just in the process of finding out as much as I can about rescuing a staffie. 🙁 I am so sorry to hear that, Caroline. It is something I have experienced in the past and hope never have to again. May he or she rest in peace. A staffie’s only fault is that their lives are always too short. I’m glad to hear you’re considering rescuing; it will be rewarding for both yourself and your new pup! My Partner and i are looking to adopt a staffy, neither of us have any experience with owning a dog so we are doing as much research as we can before committing to anything. Any advice anyone can give us is more than appreciated. Missing Chloe, ( http://home.powergate.ca/~bjh/Chloe/IMG_2287.JPG) our staffy lab mix, whom we had to put down due to suspected cancer on Oct 1 2018. RIP beautiful girl.